GAME NOTES: Eastlake is coming off a 6-3 season. The Wolves lost several key players to graduation from last season, but RB Garrett Carney and WR/DB Nate Sutter are top returning skill players. Both teams Eastlake beat are now 0-2. 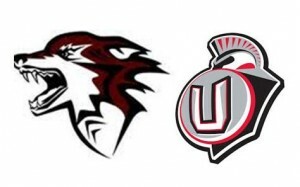 Union QB Lincoln Victor had passed for 203 yards and two touchdowns and rushed for 179 yards and 1 TD. The Titans are coming off a back-and-forth game in the Bay Area. Darien Chase scored the winning touchdown on a 88-yard kickoff return with 30 seconds to play.